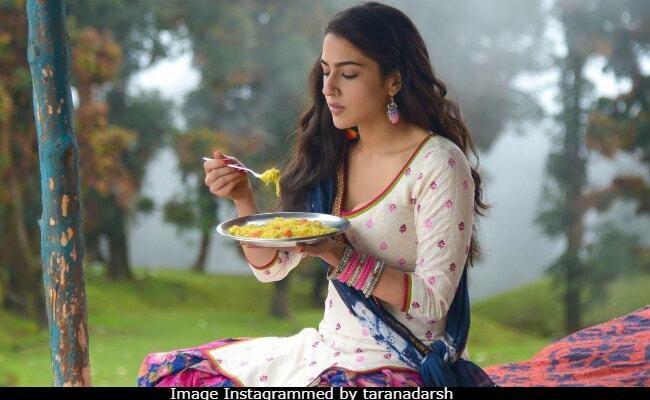 Monday was a "crucial" juncture in Kedarnath's box office journey but the film survived the "test"
Sara Ali Khan's debut film Kedarnath, which also stars Sushant Singh Rajput, has raked in Rs 32 crore in four days, reported trade analyst Taran Adarsh. Monday was a "crucial" juncture in Kedarnath's box office journey but the film survived the "test" with as many as Rs 4.25 crore, said Mr Adarsh. Kedarnath currently stands at a total of Rs 32 crore and is very much counting. In his box office report card for the Abhishek Kapoor-directed film, Mr Adarsh said: "Kedarnath passes the crucial Monday test... Remains rock-steady... Fri 7.25 cr, Sat 9.75 cr, Sun 10.75 cr, Mon 4.25 cr. Total: Rs 32 cr. India biz." #Kedarnath passes the crucial Monday test... Remain rock-steady... Fri 7.25 cr, Sat 9.75 cr, Sun 10.75 cr, Mon 4.25 cr. Total: Rs 32 cr. India biz. Earlier, Mr Adarsh had evaluated Kedarnath's ticket sales over the weekend as "a good weekend" but maintained that the film's performance through the week will be pivotal for lifetime business of the film. Kedarnath has a free window at the ticket counters till December 21, when Shah Rukh Khan's Zero arrives in theatres and just a week after that, releases Sara Ali Khan's second Bollywood film Simmba. #Kedarnath has a good weekend, witnessing substantial growth on Day 2 [34.48%], but limited growth on Day 3 [10.26%]... Sustaining well from Mon to Thu is pivotal... Fri 7.25 cr, Sat 9.75 cr, Sun 10.75 cr. Total: Rs 27.75 cr. India biz. Kedarnath opened to middling reviews last Friday with Sara's performance being singled out for praise. In his review for NDTV, Saibal Chatterjee wrote: "While Sushant Singh Rajput does much of the heavy lifting with a great deal of flair in the course of the film, the biggest asset of Kedarnath is Sara Ali Khan, as self-assured a debutante as any we have seen in recent years." Kedarnath is a powerful love story set against the backdrop of the devastating Kedarnath floods of 2013, in which Sushant Singh Rajput plays a Muslim porter and Sara has been cast as a Hindu priest's daughter.